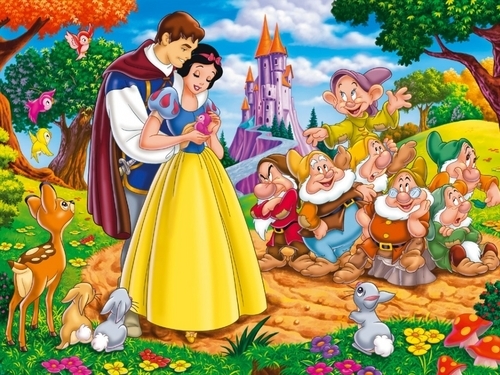 Snow White and the Seven Dwarfs Wallpaper. Snow White and the Seven Dwarfs wallpaper.. HD Wallpaper and background images in the Snow White and the Seven Dwarfs club tagged: snow white and the seven dwarfs disney princess animated film movie classic wallpaper. This Snow White and the Seven Dwarfs wallpaper might contain bouquet, corsage, posy, nosegay, anime, comic book, manga, and cartoon.